We would like to welcome you to our website. 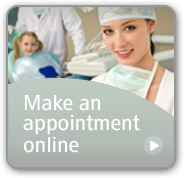 The philosophy of our practice is to provide the best possible care in a friendly and warm environment. As we cater to a downtown Montreal professional clientele, we do our utmost to respect your busy schedule by seeing you at your scheduled time. Enjoy the interesting articles, acquaint yourselves with Dr. Mechanic and our staff, and be sure to check out the before and after photos of some of our cases.